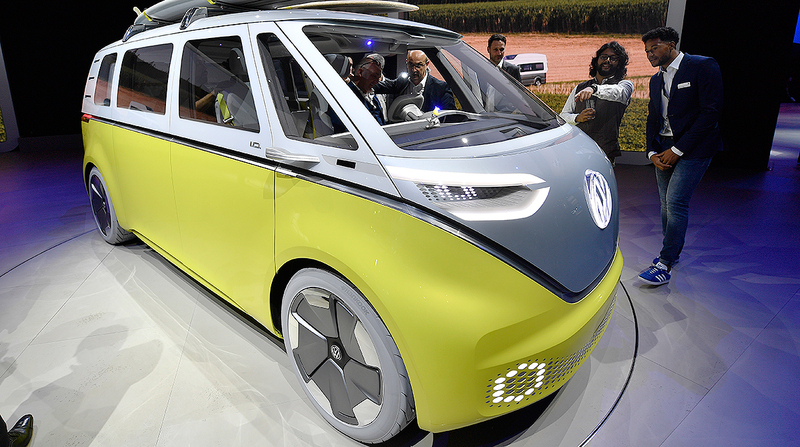 FRANKFURT, Germany — Automaker Volkswagen says it will invest $50 billion (44 billion euros) in developing autonomous and electric cars and expand the appeal of battery-powered cars by selling its upcoming ID compact for about what a diesel-powered Golf costs. Poetsch says the company is in talks with Ford about possible cooperation in making light commercial vehicles. Volkswagen is converting three of its German plants from internal combustion to battery car production as it pivots away from diesel vehicles in the wake of its emissions scandal. It says it will increase the number of electric models from six now to more than 50 by 2025.